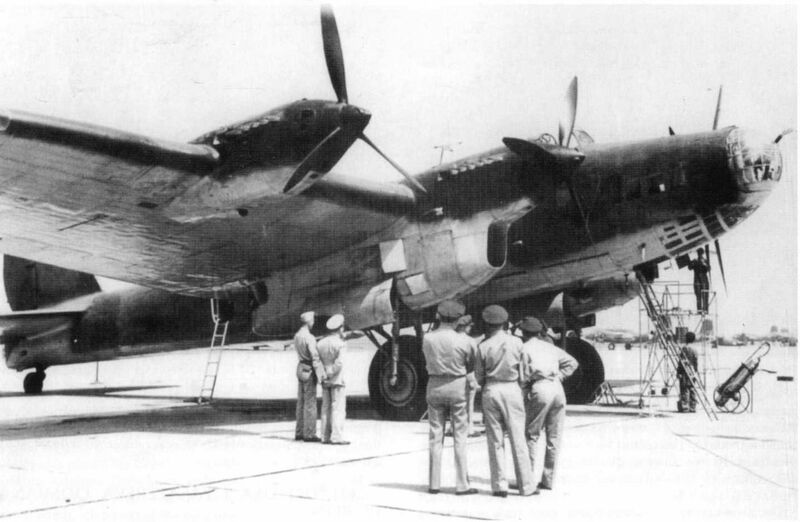 The Petlyakov Pe-8 was a Soviet long range heavy bomber designed before World War II, and the only four-engine bomber theUSSR built during the war. Produced in limited numbers, it was used to bombBerlin in August 1941. It was also used for so-called “morale raids” designed to raise the spirit of the Soviet people by exposing Axis vulnerabilities. Its primary mission, however, was to attack German airfields, rail yards and other rear-area facilities at night. Originally designated the TB-7, the aircraft was renamed the Pe-8 after its primary designer, Vladimir Petlyakov, died in a plane crash in 1942. At the start of the 1940s the TB-7 was one of the most modern bomber types world-wide. By the new technology of the central loader system it reached ceilings, which were unattainable for most other airplanes of that time. It flew at heights that for the majority of the fighters of the time were unattainable, and the ceiling of 12,000 meters made her invulnerable to anti-aircraft artillery. It’s role story is as the plane chosen to fly the People’s Commissar of Foreign Affairs (Foreign Minister) Vyacheslav Molotov from Moscow to Britain and then on to the United States and the practice flight for this piloted by Asyamov. Asyamov’s PE-8 was serial number 4215 and this was used during the trial flight to Britainon 28th/29th April 1942. Pusep’s PE-8 was serial number 42036 and became famous as the plane used to carry Molotov. They belonged to 746 Long Range Bomber Squadron which in 1942 was based at Kratovo nearMoscow. There are no remaining PE-8s but the remnants of a Pe-8 serial number 42812 that was recovered from the Artic Ice are in the Russian air force Museum in Monino. This entry was posted on Sunday, February 26th, 2012 at 11:46 pmand is filed under . You can follow any responses to this entry through the RSS 2.0 feed. Both comments and pings are currently closed.